Brushfire Games has announced their upcoming Physics-based Arcade Shooter "Polychromatic" will be coming to the Xbox One and Windows 10. Polychromatic follows the classic twin-stick shooter model with increasingly difficult waves with an added blend of modern aesthetics. 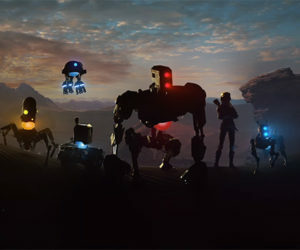 "We really wanted to make a game that could capture the feeling of the classic arcade shooters without just being the 'Same Old Thing'," said Nick Gravelyn. "For example, the physics driven gameplay is quite unique and adds a level of unpredictability to the game. While other games in this genre emphasize memorization, Polychromatic requires adaptation and quick reaction to succeed." 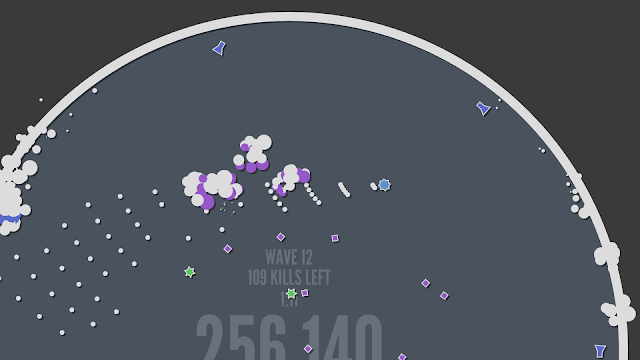 Polychromatic will feature three game modes and competitive leaderboards. Polychromatic is currently scheduled for a Summer 2015 release.